One would think a cookbook author of Italian, German, Belgian, and Swiss cookbooks, to name a few, Nika Hazelton would be somewhat fussy about her food, but she was actually a self-proclaimed “no-nonsense” cook. Hazelton preferred fresh and easy to complicated dishes. She admired good cookbooks that tested and retested recipes and was not fond of packaged-food cuisine or back-of-the-box recipes. Hazelton enjoyed the likes of Craig Claiborne, James Beard, Julia Child, Paula Peck, Dione Lucas, and Ann Seranne. I have many Nika Hazelton cookbooks and would add her name to this elite list. I am also tickled pink to own a cookbook that was once owned by Hazelton in her personal library, that I found at Bonnie Slotnick Cookbooks in New York City earlier this year. Follow the link and you can see the book and Hazelton’s signature inside. It’s one of the treasures of my Culinary Cellar! 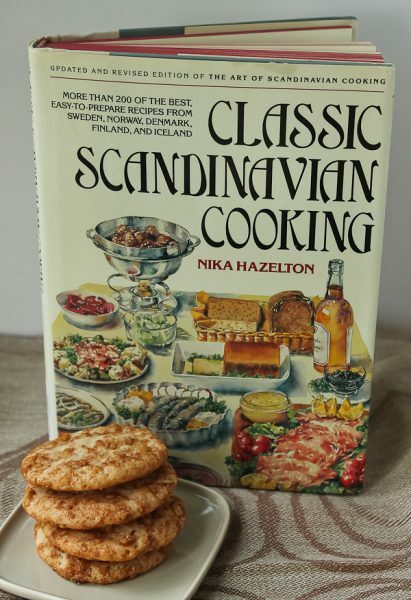 Since I have a deep love of Nordic and Scandinavian cooking, this was one Hazelton book I didn’t own but ordered about a month ago. There are so many recipes to try from Sweden, Norway, Finland, Denmark, and Iceland. Recipes for soups, fish, meats, vegetables, butters, sauces, desserts, cakes, pastries, cookies, breads, and drinks that all sound irresistible. 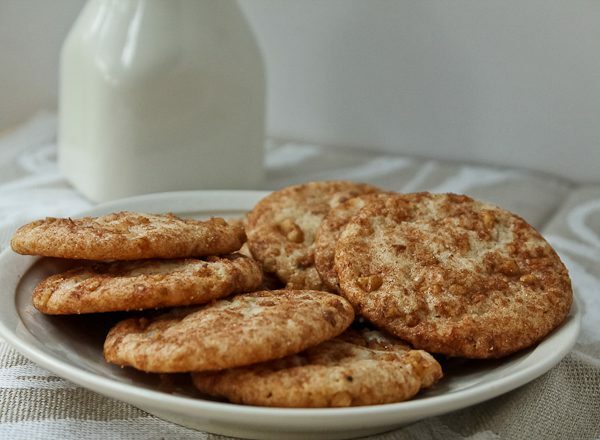 Since my husband Bill has some very long workdays this week, he loves to have a bag of cookies to munch on during the day, which means a cookie recipe from the book was in order. Bill loves crispy cookies and loves cinnamon, and the Swedish Cinnamon Cookies sounded like ones he would like. 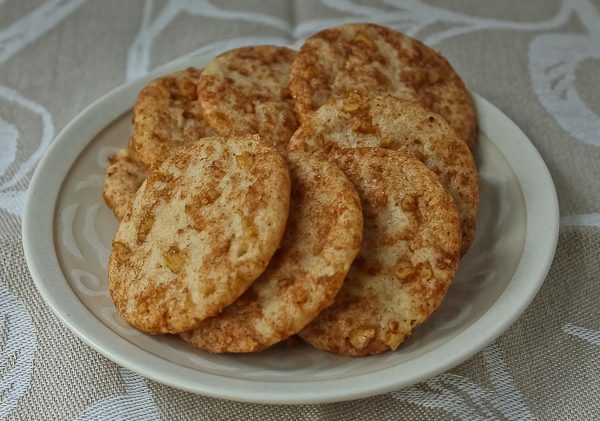 I thought they sounded very similar to our popular Snickerdoodles, and they were almost the same except for the addition of the chopped walnuts. The cookies are easy to make and you probably have all the ingredients in your kitchen right now. Enjoy them with a big glass of cold milk. For cookies: Cream butter and gradually add 1 cup granulated sugar. Beat in egg and vanilla. Sift flour with baking powder and teaspoon of cinnamon. Add to egg mixture and blend thoroughly. Chill dough for 30 minutes. Heat oven to 350 degrees F. Line a large baking sheet with parchment paper (or grease and flour baking sheet). For topping: Combine walnuts, 2 Tablespoons cinnamon, and 2 Tablespoons sugar. Form the chilled dough into 1-inch balls. Roll each ball into walnut-cinnamon mixture. Place 3 inches apart on prepared baking sheet. Bake about 12 minutes or until golden. Remove cookies to wire racks to cool completely.